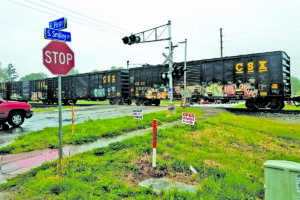 O’FALLON – You may see trains temporarily using the track running through O’Fallon soon, following a decision by the Federal Railroad Administration to allow CSX to remove the cars stored in Aviston and Shattuc. 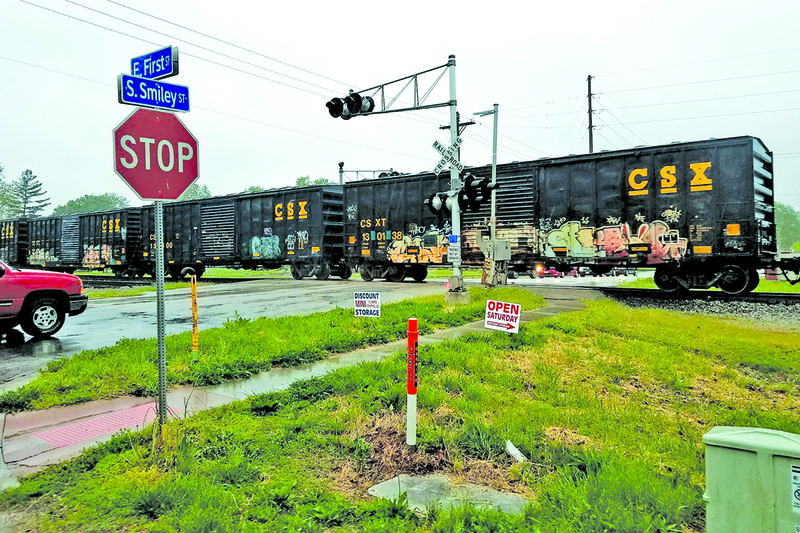 CSX’s petition was recently granted, granting the company the ability to operate during daytime hours at speeds not exceeding ten miles per hour, with flaggers and CSX police at every grade crossing. Gilroy went on to tell the Weekly that he anticipates the eastbound operation will take place early in the morning to avoid having the train stranded in Shattuc since CSX is limited to daytime operations. “Since union agreements require any train crews operating on this line to come from Vincennes, Indiana, it would be a needlessly-expensive operation to bring an additional crew in for the next day. Incidentally, that is why the previous movement took so long. The train stalled coming from Caseyville and they had to wait to get a new crew from Vincennes to power the helper units which ran behind it up the hill. And then the crew ran out of time farther east, and again, had to wait for a relief crew,” Gilroy explained. Gilroy speculates that the removal of the train cars in Aviston and Shattuc may be related to a possible sale of the line. “You may have noticed recent hi-rail activity again, including an inspection which rolled through midday on [November 26, 2018]. A few months ago, CSX led a series of hi-rail tours for other railroads which are interested in acquiring the line, as well. The current impetus to remove the cars may purely be for scrap value, though the timing of this, the tours, and CSX’s recent plans to review the line for sale, could suggest we may see new activity on the line soon,” Gilroy said.